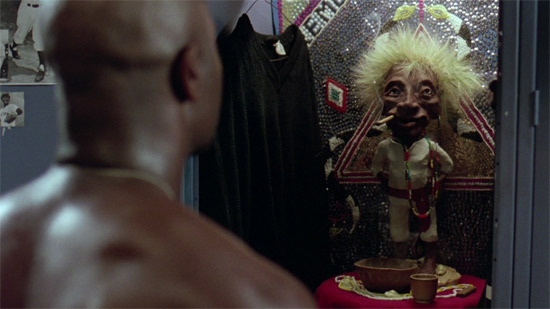 In Major League 1, Pedro Cerrano is a heavy hitting outfielder defected from Cuba that can hit every ball out of the park except for curve balls, so he turns to “Voodoo”, specifically a little loa he calls Jobu to give him more power to hit the curve balls. Throughout the movie Jobu demonstrates that he is real and even manages to win over a few converts but Cerrano still struggles with hitting curves balls throughout the entire season. It isn’t until the end of the movie that Cerrano finally realizes that he has to depend upon himself that he is able to hit a curve ball, which he knocks out of the park and gives his team the winning advantage. In the end, his team wins. In Major League 2, Cerrano believing he has too much power and is too raw, travels to Asia and studies with a supposed Buddha master, who teaches him the alleged ways of the Buddha. The problem with these teachings, which Cerrano doesn’t see, is that they make him extremely gentle so now he can’t hit any balls but is more concerned about not hurting pigeons, the greenness of the grass and a whole lot of other rubbish. Anyway, as the movie progresses, the team desperate for any good talent, that the general manager can afford, recruits a Japanese baseball player (by the Japanese are real serious about baseball) name Tanaka who tells Cerrano that his master teaches rubbish. Unfortunately for Cerrano, Tanaka can’t speak English very well so he is not able to understand exactly what Tanaka is saying. The best way Tanaka can explain it to Cerrano is by insulting his manhood or machismo. Tanaka continues to tell Cerrano that Buddha was a warrior and that Cerrano has no marbles. He yells at Cerrano, “Buddha inside, outside warrior!” Tanaka even puts a little sword on the Buddha statue. He does everything he can to get Cerrano to see that Buddha is about balance. Of course, it isn’t until the nearing of the climatic end that Cerrano finally gets it and it becomes clear to him what Tanaka is talking about – “inner strength”. So, to create a balance, Cerrano introduces his old Jobu (rawness) to his Buddha (gentleness), and explains to the two iconic figures that they need to get along. If you have not seen these films, you have to because they are really hilarious. Later Cerrano and Tanaka become good friends. Even though it was realized that this Utopia of this era was not feasible, it has not stopped people from striving to achieve it still. This in my opinion is the reason why people are so fond of the Ancient Egyptian forms because it allows them to play dress up. I say forms because a form relates to a costume that can be taken on and off. The point of making all of this known is to inform you that true spirituality cannot be taken on and off as if it was clothing. This is a Westernized concept that has at present been glamorized by pop culture, that all you have to do is read some books, change your name, stop eating meat and start wearing some clothes from another culture and/or era, and…VOILA! “You are Spiritual”. 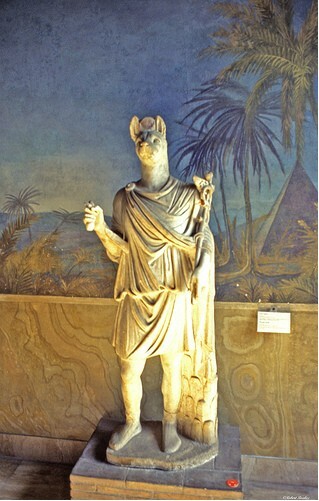 A thorough analysis of Kamitic/Kemetic history will reveal that when the Greeks entered our ancient lands, they were the first to imitate them by making statues with Kamitic/Kemetic symbols and Greek togas as seen above. Clearly, if the Greeks had understood what Kamitic/Kemetic spiruality was all about they would have turned the country back over to the founders. Proof that they didn’t can be seen that Kamit/Kemet spiraled out of imbalance and was invaded by numerous times afterward. 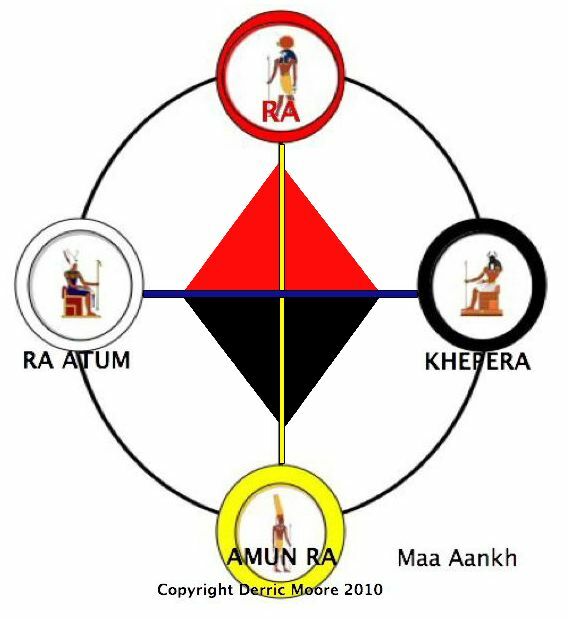 The contemporary Western approach to spirituality is as is said in the spiritual circles, truly linear, lopsided, and left-brained and illustrated on the maa aankh, on the red side all based upon the physical and what is seen. 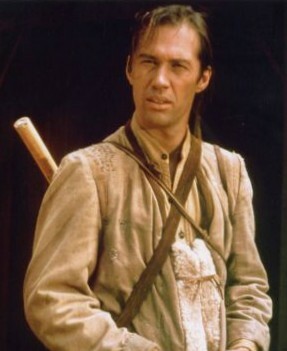 It is in the red zone also because this is TASETT, the desert, the realm where there is nothing but problems. This is what happens when we do things totally by what we see. As they say in the church we walk by "Faith, not by Sight" because in the desert there are all sorts of mirages and illusions. Now, this is not to say that there aren't any good Western traditions. It is just that in general Western culture is polarized on this side. . It is truly imbalance, which is the reason why when Asians come to North America and see Westerners practicing their philosophy, they “run” in the other direction, because they realize that this Westernize pseudo Eastern spirituality is nothing but garbage as Tanaka tries to tell Cerrano. True spirituality is all about balance and has always consisted of two parts. This is why Tanaka tells Cerrano, “Buddha inside, outside warrior!” This Westernized approach to spirituality is not balanced, which is why in the long run it doesn’t work and doesn’t produce any long lasting physical results. This is the reason why the Utopia of the late 1960s and 1970s didn’t work and the reason why it doesn’t work to this day. This in my opinion is where we got the idea that spirituality is all about being meek or weak. It is from the Westernize cultural perspective. It is the same reason why the gentle loving aspects of Jesus are depicted over the rebellious, revolutionary and at the temple angry aspects. by Honoring the Ancestors and Guardian Spirits by Derric Moore.